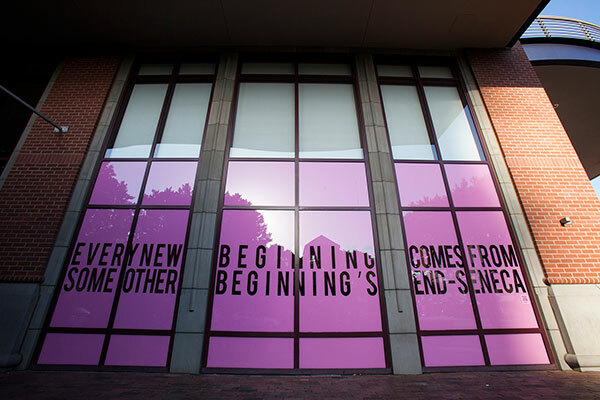 The central component of New Beginningsis a quotation from 1st Century playwright Seneca the younger, “Every new beginning comes from some other beginning’s end.” These words are particularly resonant at this time and location for many reasons. 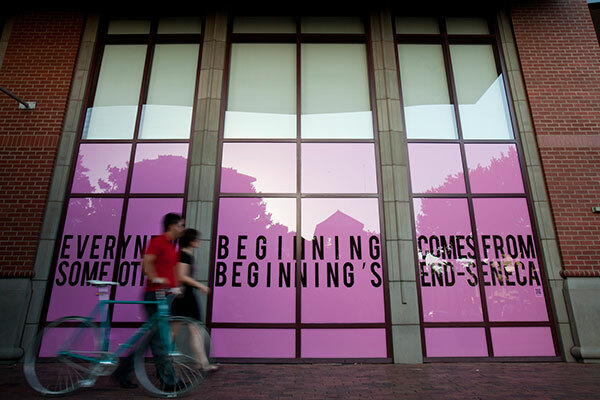 Most immediately, the words recognize the closing of the Borders bookstore chain, and the other vacant storefronts on Mill Avenue, while they simultaneously encourage passersby to think of what could be in the vacated storefronts in the near future. While originally attributed to Seneca, the line was popularized in the late 1990’s by the band Semisonic, in their song Closing Time, and it is likely that works by both artists could have been found at this location while Borders was selling books and CDs. By creating the text from negative space, Tempe artist Peter Bugg hopes to entice viewers to look in to the abandoned space, inspiring both reflection and hope as to what the future of the building might hold. 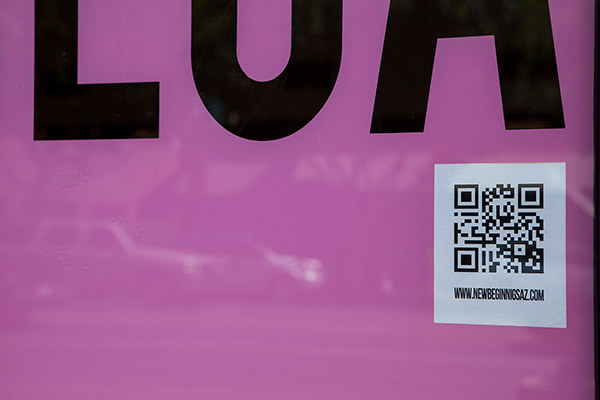 The installation includes a QR code, leading viewers to an interactive websiteprompting them to share their ideas for possible future businesses in downtown Tempe. This additional component provides a “takeaway” experience intended to perpetuate discussion related to the effects of the current economy, public art, and silver linings in difficult times.